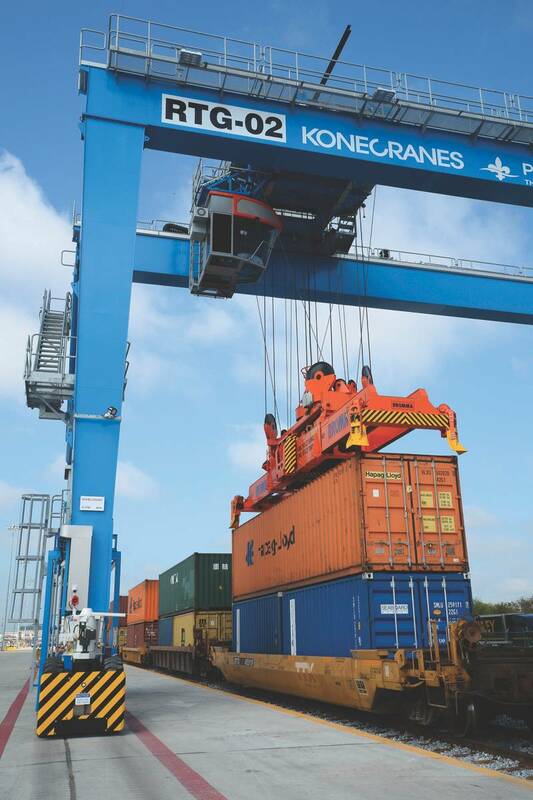 A Container-on-Barge service intended to be an integral part of the regional intermodal equation is gathering momentum – and customers. Quietly, the Port of New Orleans (NOLA) has marked some important accomplishments in the past two years, across multiple business sectors. For example, in April 2016, NOLA’s Board dedicated a $25 million Mississippi River intermodal terminal, capable of handling 160,000 twenty-foot-equivalent (TEU) units per year by rail. 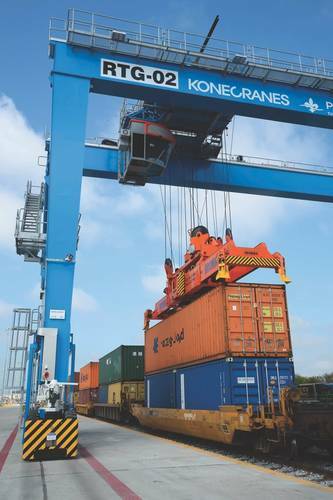 CN Railroad signed a memorandum of understanding (MOU) a year earlier (2015), in June, to partner with NOLA to attract additional container traffic. 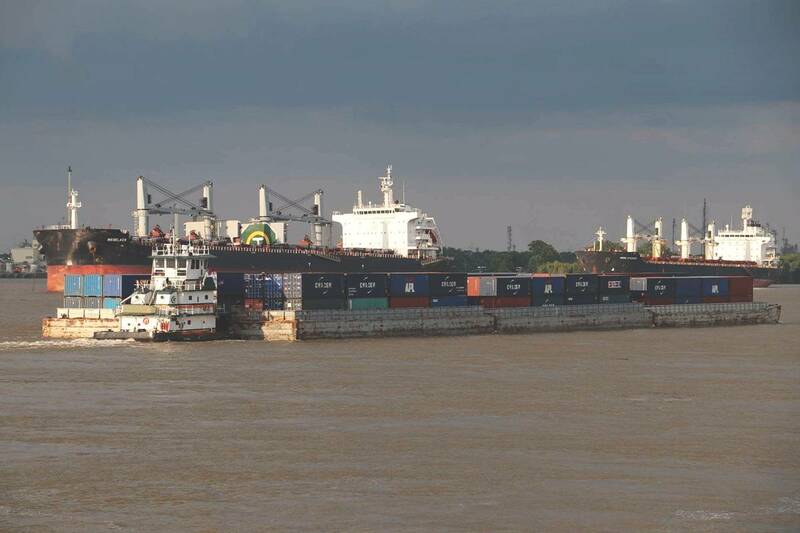 Last year, in June (2016), SEACOR AMH started regularly scheduled container-on-barge (COB) service between Baton Rouge, NOLA and Memphis. Note the “regularly scheduled” – not just one-time or on-again, off-again excursion service. True; the start-up was relatively small – five barges per week, from Baton Rouge to NOLA. Nevertheless, many people want – and expect – COB service to grow. In February, for example, NOLA’s Board signed an MOU with the St. Louis Regional Freightway to expand trade and business relationships. The Freightway wants to “swiftly capitalize” on new container-on-barge services, established and ready to go in St. Louis ports. U.S. DOT’s Maritime Administration (MARAD) has a steady, and active, interest in NOLA’s projects. 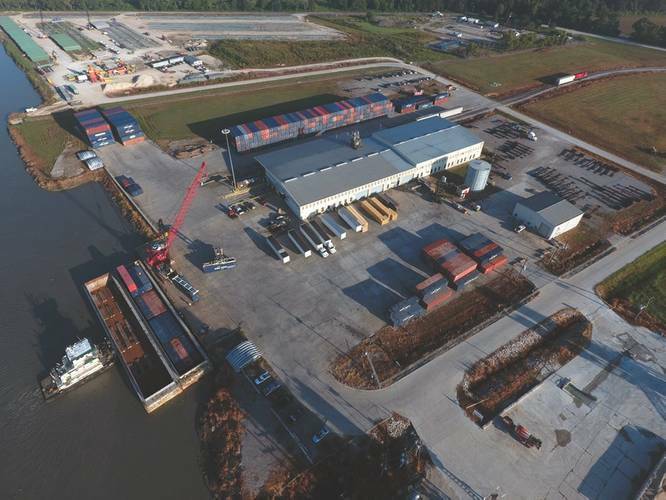 A MARAD TIGER (Transportation Investment Generating Economic Recovery) grant provided $16.7 million for NOLA’s intermodal terminal. Last December, MARAD helped to jump-start the COB service by providing a $1.75 million grant for specialized container loading equipment. State and federal transportation officials, not just at NOLA, want to fully leverage all truck, rail, and maritime capabilities. Expanded COB operations make a port truly multimodal; after all, ports are inherently intermodal. COB offers far-reaching benefits, and not just on waterways. One policy goal is for a transparent market providing an apples-to-apples comparison of the costs associated with shipping by truck, rail and of course, via barge. How freight moves has public policy implications. The U.S. DOT calculates that the State of Louisiana saves $118 per round-trip when a 40-foot container travels by barge, not highway, between New Orleans and Baton Rouge. Or, put another way, Louisiana’s taxpayers provide a $118 round-trip subsidy to the truckers. That’s big money for state highway officials. If more freight shifted to the maritime sector, highways would function more like they are supposed to and less like parking lots. In yet another change, NOLA officials want to place the New Orleans Public Belt Railroad under Port auspices, again, to maximize and synchronize assets. The Belt is a Class III switcher, a neutral carrier working with all six Class 1 roads. “This new rail plan will translate to a greater competitive advantage,” Mansour commented. 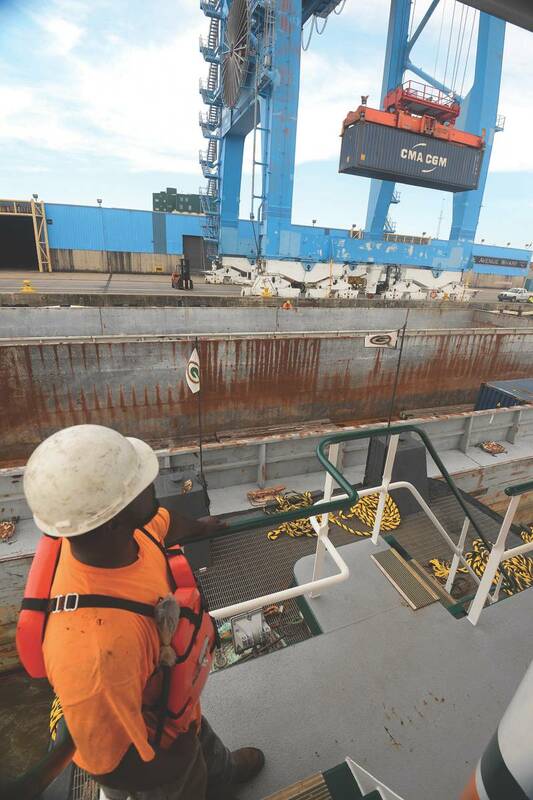 At the same time and as NOLA’s mainline asset relationships come together, it is worth taking a closer look at SEACOR’s container-on-barge service, which started June 1, 2016. SEACOR started with resin shipments from regional petrochemical producers. Forty-foot containers from those production sources are aggregated at Baton Rouge. SEACOR loads on Thursdays. Travel time to NOLA is 12-18 hours. Containers are off-loaded on Friday and then reloaded for shipment to European and Asian markets. The COB service averages between 5-6 barges per week, based on demand and facility production, explained Richard Teubner, SEACOR vice president. Each barge holds 48 empties, 36 loaded containers. Importantly, this is standard equipment, not equipment specifically designed or customized for COB operations. Memphis’ port is also involved. Empty containers from the Memphis region are aggregated at SEACOR’s facility there. Once they have 48 containers, SEACOR moves the empties to Baton Rouge, for dispersal to resin producers. SEACOR commits 15 barges to this circular service and keeps another 10 on standby. Business is growing. “Last year we were at half the volume we are right now,” Teubner said. Just as important, back-haul to Memphis is now productive, no longer running empty. Starting about five months ago, SEACOR began hauling tires and agricultural products from NOLA to Memphis, the leg of the trip to retrieve containers. As noted above, St. Louis Regional Freightway officials are keeping a close eye on COB developments. St. Louis is the nation’s third largest inland port, said Mary Lamie, Freightway’s Executive Director. The Freightway works with 200 river terminals and three public ports, all with COB capabilities – docks, hardware, rail and cranes. “We’re ready to go,” Lamie commented, adding that Freightway officials view COB as critical for future freight volumes. Still, Lamie knows that additional homework needs to be done before COB can scale up. Her advice: clearly identifying the commodities and products best suited for COB. The right shippers are needed; companies who can create the volumes necessary so that bulk costs, indeed, come down. Finally, Lamie said that demonstration projects are still needed to clearly show reliability, efficiency and decreased risk. She said COB expansion depends on creating a network among inland ports. “One step we’ve taken is to find out if there are ways we can bundle containerized cargo as it heads to New Orleans, to build volume.” Initial outreach involves Paducah, KY, and Louisville. MARAD is helping fund this work. Lamie’s comments align with SEACOR’s successful start. operational model that coordinates ports – NOLA, Baton Rouge and Memphis – for SEACOR. Last October, America’s Central Port (ACP), in Granite City, IL, received a MARAD grant for an 18-month demonstration project providing shuttle service for agricultural customers moving containerized exports to access the Union Pacific and BNSF rail ramps. The shuttle service will operate on the Illinois and Mississippi Rivers between Channahon and Granite City, Ill., with an option to extend container-on-barge service to the Gulf. Right now, that ‘ag’ freight moves by truck. For Wilmsmeyer, COB scale up is “still a little ahead of its time.” MARAD’s support is important, he added, for “trying to get demand started sooner than it might develop if the market just ran its own course.” Wilmsmeyer noted that the railroads initially resisted containerized shipping. To be fair, one recent, unsuccessful COB project operated on the Tennessee-Tombigbee Waterway, in October, 2014. It lasted about six months. SEACOR operated that service, too, and the Tenn-Tom project presents the flip-side of SEACOR’s NOLA success. Rich Teubner was the Tenn-Tom manager. SEACOR couldn’t aggregate enough volume in that waterway, Teubner said. The industrial base, the furniture industry, was relatively small, at least compared to the regional New Orleans market. Customers’ demands were too variable, making aggregation unfeasible and the business could not reach a critical mass. Beyond this, there were vast differences in scale between New Orleans’ export market and Tenn-Tom’s. Nevertheless, Teubner added that SEACOR keeps its equipment at the ready. 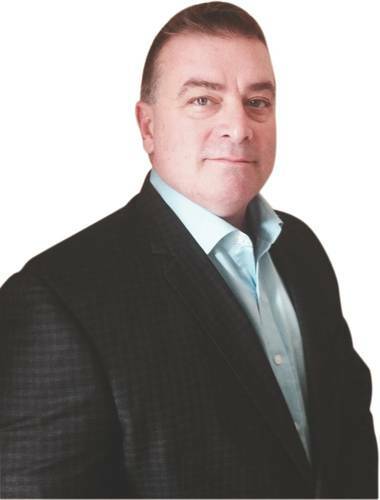 “If we can get the clients with the volumes, we would definitely start it again,” Teubner said. Some freight experts say it will eventually take new and specially designed equipment to move COB to the next level, that there are limits to a makeshift approach using existing equipment. New vessels, in particular, are needed. Missouri’s DOT did an extensive COB freight study in 2013 which concluded that a long-term success strategy needs to include faster marine highway vessels and suggested that new vessel research might be the right focus among federal agencies. Separately, U.S. DOT projects that freight movements across all modes will grow by 42 percent by the year 2040. Container traffic will increase steadily. And, COB is one transport mode with plenty of room to expand. Lessons learned now will be very valuable; likely sooner, not later.